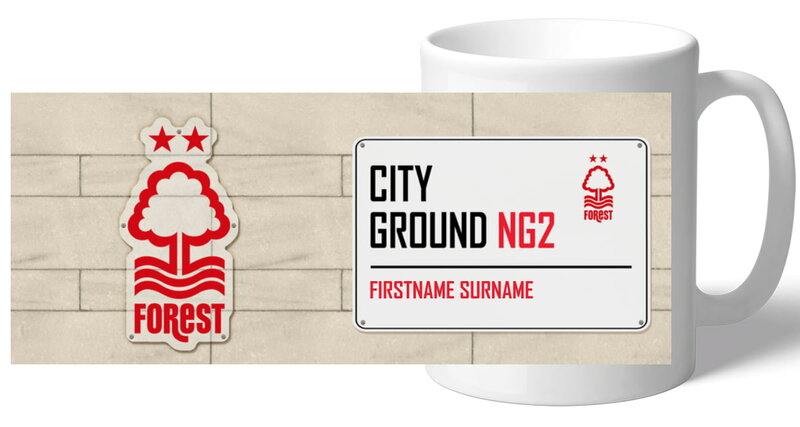 Our personalised Street Sign Mug is a fabulous present for any Nottingham Forest FC fan and is approved and fully licensed by the club. We merge your chosen Forename and Surname onto the Stadium Street Sign design that any Nottingham Forest FC fan will recognise. Our Nottingham Forest FC mugs are dishwasher and microwave safe. This truly stunning gift is sure to raise a smile as the recipient sees their personalisation on the Nottingham Forest FC Stripe Mug. Our personalised 100% Nottingham Forest FC mug is a great present for any Nottingham Forest FC fan! 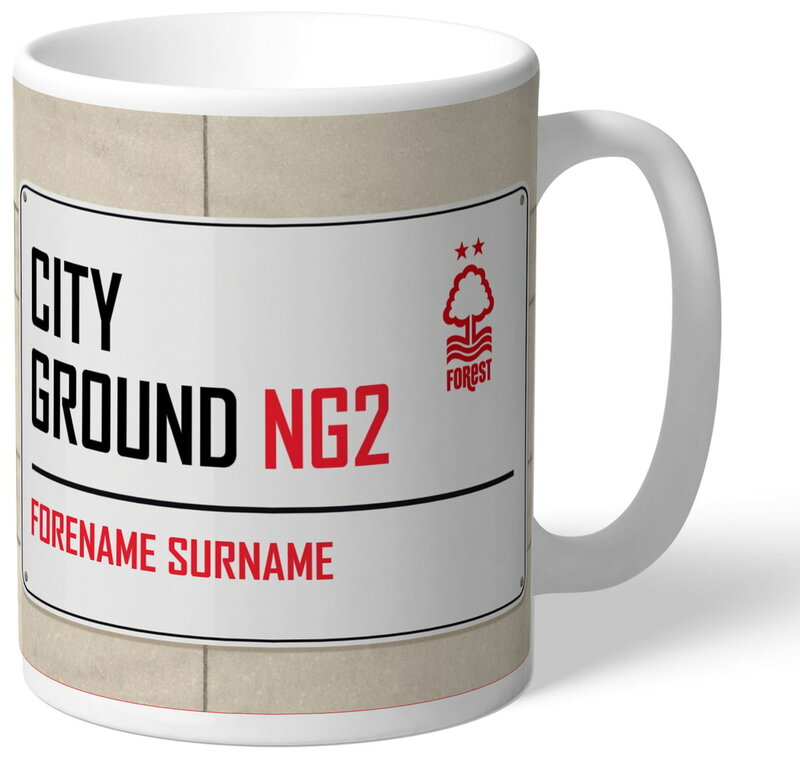 This truly stunning gift is sure to raise a smile as the recipient sees their personalisation on the Nottingham Forest FC I Am CLUB Mug. This truly stunning gift is sure to raise a smile as the recipient sees their personalisation on the Nottingham Forest FC Subbuteo Mug.